Soooo ….. did we RV yet? All kidding aside, the current situation in Iraq is an unmitigated disaster. Let’s just forget about the dinar for a moment and think about the ramifications. Turkey to the north is concerned because dozens of Turkish diplomats have been taken hostage by ISIS. Shia-controlled Iran to the east is offering military assistance to fight off the invasion. Syria to the west is also concerned, since a Sunni-led revolution next door in Iraq could pose an ongoing threat to their government which is seen as Shia-supported. When their government faced resistance from ISIS they found Russia among their supporters so we could assume that Russia would support the Iraqi government in this conflict as China already has. Saudi Arabia to the south is mainly Sunni, and some of the funding for ISIS came from there. The Saudis have offered resistance to the Shia influence in the region and will no doubt be watching for any signs of renewed uprisings in their area. Allowing an anti-western entity like ISIS to gain a foothold in the region is a huge mistake, and sooner or later it’s one that is going to draw US military involvement again. But it’s hard to isolate this one foreign policy screwup, because it stems from a long line of miscues going back decades. In 1978 there was an Islamic uprising inside of Iran. At the time Iran’s leader was the Shah, a US ally who followed his father into power in 1941. In 1951 he was forced from power and fled Iran after a failed coup attempt. He was restored to power two years later in a CIA funded and orchestrated coup under Eisenhower. In 1979 he faced another political threat as cries came to “oust the fascist Shah”, largely coming from forces loyal to Ayatollah Khomenei, an exiled Muslim cleric. When he came to the US for medical treatment radicals in Iran stormed the US embassy and took State Department employees hostage for over a year. President Carter had the option at the time of authorizing a CIA covert operation similar to what Eisenhower had done in 1953 which could have kept a US ally in power, but he refused. He naively thought that American interests would be better served by non-interference. As a result the Shah was deposed in 1979 and Iran became an anti-American theocracy under Khomeini. This led to an Islamic fundamentalist movement that spread throughout the Muslim world. Prior to the deposition of the Shah the Arab world was becoming westernized. Young Arab boys listened to the Beatles and watched American movies. Young Arab girls wore blue jeans and makeup. That all changed after the Ayatollah came to power. 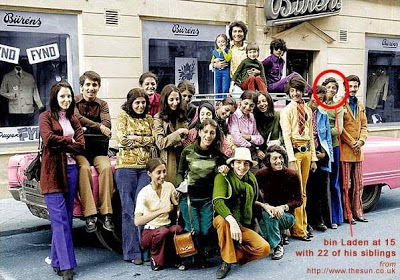 In the photo above you can see Osama bin Laden (from Saudi Arabia) wearing bell bottoms during a ski trip to Europe around 1971. This was very typical of younger Arabs in that day. It’s quite a contrast from the way that younger Saudis and Iranians dress today. Had we been willing to stand by the Shah it’s likely that this would be the norm now instead of the fundamentalist code that is currently being imposed, and it would be much more difficult to radicalize them. As Iran’s radical government became more powerful they posed a threat to the reign of Saddam Hussein next door in Iraq. Saddam’s government was secular, as opposed to Iran’s theocracy. Religious elements in Iran were trying to inspire their fellow Shias in Iraq to overthrow Saddam. A war ensued, and the US armed Saddam in order to limit Iran’s power in the region. But while Saddam was seen as an ally at the time, he eventually became more of a threat as he pursued WMD and nukes and eventually invaded his neighbors in Kuwait and had troops amassed along the border with Saudi Arabia prior to Desert Storm. 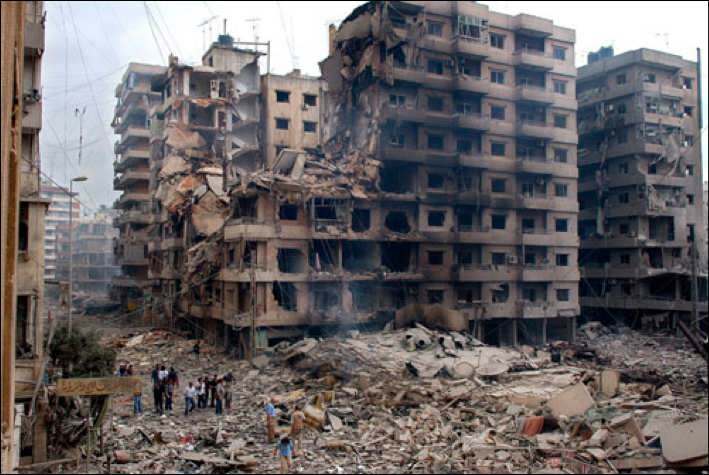 During the Reagan administration in 1983 terrorists blew up buildings being used as barracks by US and French forces in Beirut, Lebanon. Nearly 300 US and French soldiers died in that attack. Reagan’s focus was on winning the cold war against the Soviet Union, and he didn’t seem to know how to prevent or respond to the threat from religious radicals. His successor George H. W. Bush didn’t seem to fare any better as Al Queda emerged following Desert Storm in response to US military presence in Saudi Arabia. 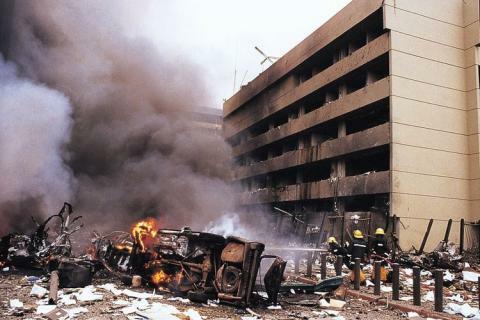 Under Clinton US embassies in Kenya and Tanzania were bombed by Al Queda in 1998. Clinton’s response was minimal, launching a missile attack against a pharmaceutical facility in Sudan that was never conclusively linked to Al Queda . He seemed more focused on fighting Serbian leader Slobodan Milošević (who posed no threat to US national security) than Bin Laden, and when Saddam Hussein refused access to UNSCOM inspectors in 1998 Clinton passed up an opportunity to go to the UN and put a coalition together to deal with the situation as his predecessor had, and again resorted to dropping a few bombs. This was the best time to act on this as the international community had the will at that time to hold Saddam accountable because of his defiance of UNSCOM. Instead, the US drifted into a policy of containment, the same policy more or less that was pursued with Al Queda. When George W. Bush took office in 2001 there was an excellent opportunity to abandon the containment policy with both Saddam and Bin Laden, but Bush’s focus during the campaign and during the first months of his presidency was on education. He wanted to be known as “the education president”, and in fact was sitting in a classroom on 9/11 promoting his education program when the attacks occurred. It wasn’t until after the attacks that his focus shifted toward national security and the war on terror. He responded to 9/11 by invading Afghanistan to attack Al Queda and remove the Taliban who were harboring them. He then proceeded to pursue a second war in Iraq to remove Saddam Hussein and install a democratic government which would be friendlier toward the US and its allies, but that spread US forces too thin and stalled the progress in Afghanistan. The Iraq war itself went well, but the post-war phase was a disaster. What was expected to take less than half a year ended up taking eight years and cost over 4,000 troops and upwards of $1 trillion, and killed countless Iraqi citizens as a war of insurgency dragged on, a war that seemed to catch the Bush administration completely off guard. Saddam was a Sunni Muslim and a Bathist, so as a result Sunnis and Bathists were alienated by how the Coalition Provisional Authority set up the new government and military. That alienation continued into the Obama administration. Which brings us to today. The rapid advancement of ISIS into Iraq seems to have caught Obama sleeping, and he is just now talking with advisors about how to respond where he should have been on top of things weeks or even months ago with a plan in place to prevent the current crisis. Since coalition forces pulled out of Iraq at the end of 2011 Sunnis have been marginalized by the government of Maliki, who is a Shia. The advancements that have been made by ISIS in Iraq were due more to the lack of support for the Iraqi government by Sunnis than by the prowess of ISIS’ forces. There were many reports of military leaders instructing their men to abandon their posts. Loyal forces don’t do that. As a result it would appear that Iraq is headed for a full blown civil war. What is the solution? I could be wrong, but at this point I think it’s too late to bring the country back together under the current government. Even if Maliki doesn’t win a third term the die is cast. Either the UN oversees a breakup into three separate countries for the Sunnis, Kurds, and Shias, or a civil war follows that could draw in Iran, Saudi Arabia, and God knows who else. The time to prevent the current dilemma has come and gone, and both Republican and Democrat presidents share the blame. For the sake of the Iraqi people and the international community, I hope our leaders can handle the situation today better than they have in the past.